Our standard Fedora dedicated server cloud platform is a high-performance. Have your own ultra-stable Fedora dedicated cloud server. Fedora is an open-source operating system built over the Linux OS kernel architecture and developed by a group of developers and contributors under the Fedora Project. Fedora is always free for anyone to use, modify, and distribute. Fedora OS provides the same functionality, processes and usability as a typical operating system, and includes a suite of collaboration tools, office productivity applications, media playback, virus protection and other desktop application and services. Fedora is generally released and updated every six months and provides only one month of support for the previous version, where each new release is built on top of the kernel or OS framework. Fedora-based variants are further published under different names and are commonly known as Fedora Spins. They include operating system such as Red Hat Linux enterprise edition, CentOS and XO. Fedora is equipped with an array of graphical tools and features to help you have better control of the system. These tools include network shares, language settings, firewall, authentication, users, and web server. Fedora also has an addition known as groups. Simply install the group that you want, such as KDE, Java, Perl, GNOME, or even Kernel. Fedora open source also offers bug fixes for a more stable system, instead of introducing additional features on old versions. It does provide automatic updates to specific applications, like OpenOffice.org, Linux Kernel, KDE and Firefox. Therefore, there is no need of adding repositories with respect to unofficial builds. Fedora operating system is known for its first boot in the offline world. Turning on a PC running Fedora to a GNOME login screen in less than 20 seconds is possible; only achieved in a few operating systems. Since it is a Linux distribution, Fedora lays great emphasis on security. Fedora's firewall is available right from the start, and customizing it is not difficult. Customization is either carried out though the graphical/user interface or the terminal. Fedora promotes Security-Enhanced Linux (SELinux) feature that implements multiple security policies. Fedora has always been a market leader in virtualization technologies. In fact, with each release, users can always expect improvements in virtualization features. We offer superior reliability, performance and high hosting standards. You do not have to to spend hundreds of dollars each year on your web hosting requirements, our plans are tailored to fit needs from a small personal site to a large corporate multi tiered site and you will still get the best service that you deserve. 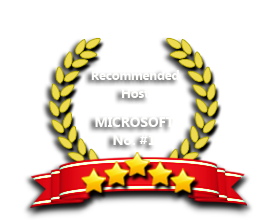 We believe that our team is the reason for our success in the hosting. Our achievement is mainly due to our employees' dedication to their work. Our high qualified staff and our business partners help us to ensures that we provide the best customer support.